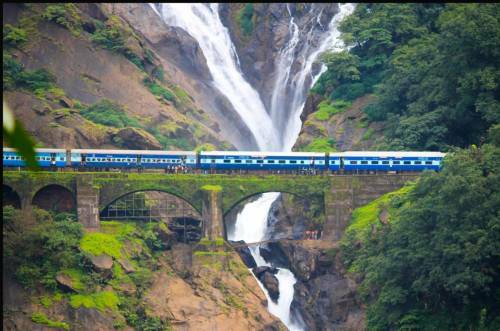 Scenic Train Journeys near popular holiday destinations you shouldn’t miss ! Family trips are always fun, exciting and memorable, especially when you have kids in tow. There are so many places in our beautiful country that are replete with picturesque landscapes. You simply can’t miss visiting these, and taking your tiny tots along with you to witness the marvellous scenery. 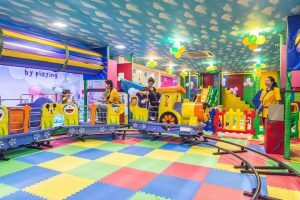 So if you’re planning a vacation with your little ones soon, then don’t miss these amazing train journeys in India that you should definitely add to your itinerary. This toy train starting from Mettupalayam to Coonoor, was first run as early as 1899, however, it was extended to Ooty in 1908. This 46 km journey takes you through the highest elevated place in the Southern India. 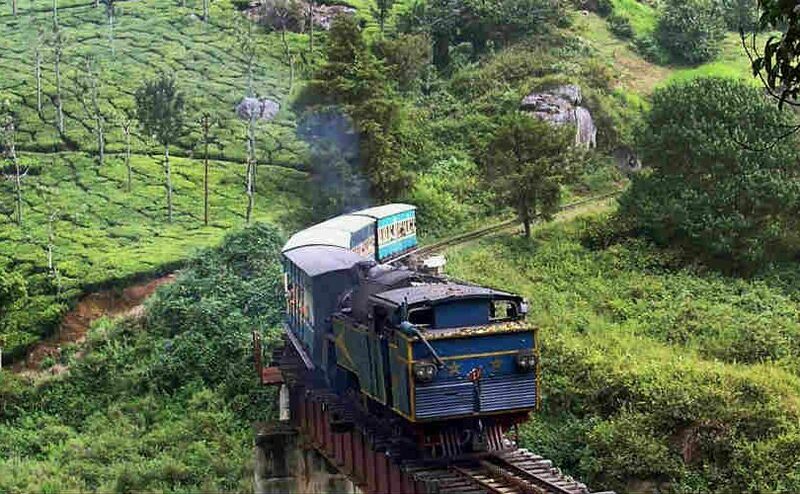 Around 5 lakh people enjoy this train ride, which covers the gorgeous Nilgiri Hills and the plains surrounding it, every year. 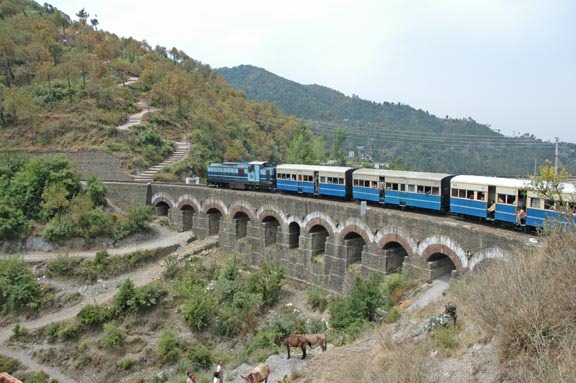 This extremely popular train journey is taken on the Himalayan Queen train from Kalka in Haryana to Shimla, the capital of Himachal Pradesh. This charming metre-gauge railway was built in 1903, for the British to take relief from summer heat and head to Shimla. The stunning hillside view from this train is unforgettable, and it includes rivulets of water, blooming flora, and beautiful skies. Hop onto the Goa Express and experience the wonderful journey from Vasco da Gama to Londa in Karnataka. It passes through beautiful Goan beaches and villages, and then moves along to the dense jungle, along the mountainside. Don’t miss the amazing waterfalls along the way, once you cross the valleys and peaks. The ride ends as you reach Londa around sunset, completing the trip with the perfect view. If you’re planning your holiday down south, then this is the train journey for you. 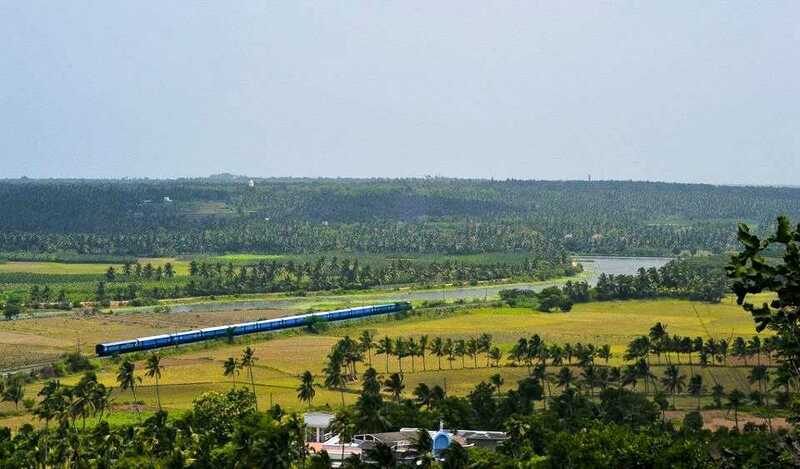 Starting from Kanyakumari at the southernmost tip, and ending at Kerala, God’s own country, this is a lovely 2 hour trip that includes stunning sights. Feast your eyes on tall palm trees, dense greenery, and little houses among the endless, jungle like region. Get onboard the Jammu Mail in India’s northernmost Jammu Kashmir state for this journey. 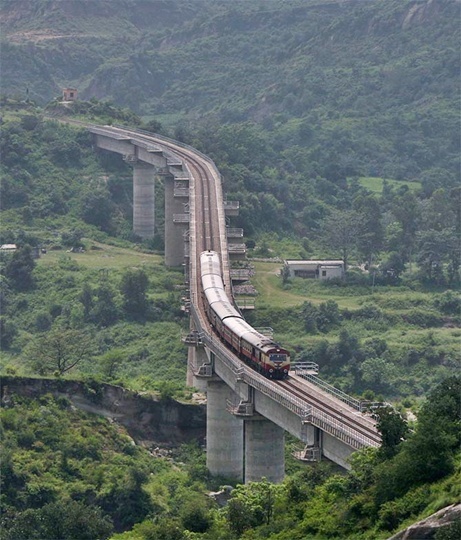 This astounding engineering feat takes you along a 53 km stretch, and delivers you to the Himalayan foothills. Along the way, you’ll witness the beauty of the Shivalik mountain range, as well as flowing rivers and mystical valleys. The train passes through tunnels and bridges that are equally breath-taking! This is another popular ride, on a toy train from Jalpaiguri to Darjeeling in West Bengal. Originally designed as a tramway, this hill railway is now a World Heritage Site. 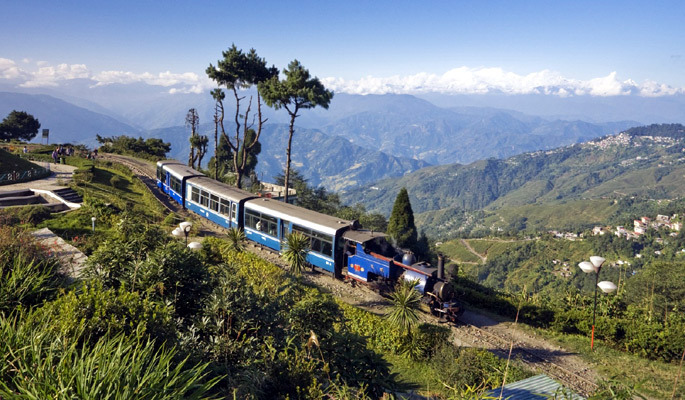 The toy train passes through vivid green forests, and takes you through tea plantations. With reverses and loops, and an amazing spiral at one point, this is a splendid, and shall we say, an exciting train journey to take your kids on. If you live in and around Mumbai, this is a trip that you just can’t miss. 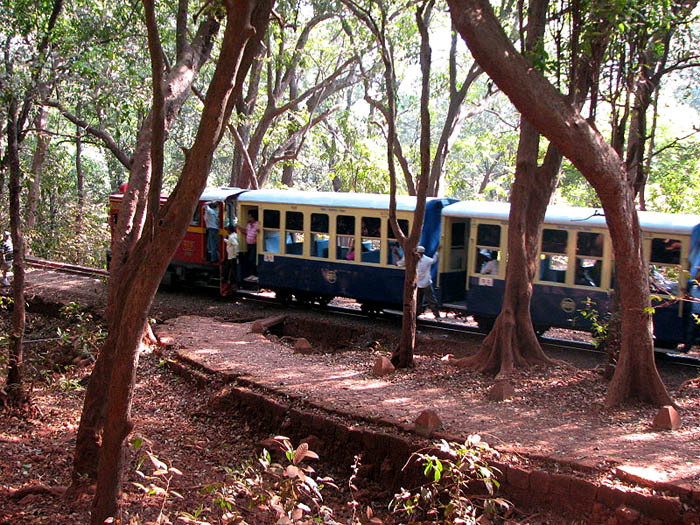 Take a trip to Matheran hill station with your little ones, on this famous narrow gauge railway train from Neral railway station to Matheran. Built by Akbar Peerbhoy between 1901 and 1907, this train passes through beautiful yet rugged places in the ghats, and encompasses a distance of 20 km. Don’t these train journeys sound amazing? 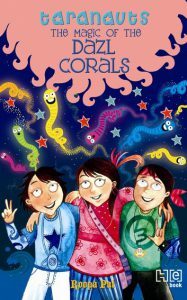 We assure you, they are better when you and your kids get to experience them in real life. So choose these rail trips for your next vacation, and you can get to relive the memories from your childhood days too, when you’d way for your vacations to take a trip to your native or for holidays in different parts of the country, with your parents. Well, the best days, right? Let us know your experience of these train journeys, in the comments. 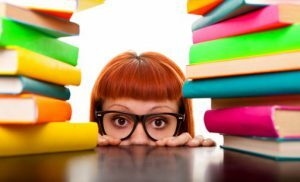 We’d love to hear about them!